A social care champion has been given a lifetime achievement award for his “remarkable and outstanding contribution” over three decades. 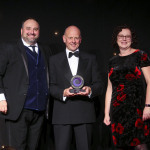 Mario Kreft MBE, the chair of Care Forum Wales and the owner of the Pendine Park care organisation, was honoured at the prestigious Wales Care Awards at City Hall in Cardiff. The former Older People’s Commissioner for Wales, Sarah Rochira, was also presented with a lifetime achievement award at the glittering ceremony, dubbed the social care Oscars. Mr Kreft is one of the most influential figures in social care in the UK. He is the son of a circus bear and lion tamer, Franz Kreft, who came to Britain as a refuge from Slovenia after the Second World War and later met and married his mother, Pamela. He was Christened in a circus tent in the South African city of Port Elizabeth and raised by his grandparents, Fred and Rene Warburton, who retired to Trefnant, near Denbigh, after selling their business, the former Pen-y-Don Hotel, on the promenade in Rhyl. Mr Kreft and his wife, Gill, were inspired by their own personal experience to establish Pendine Park 1985. They both had elderly grandparents who needed care and the places they went to see didn’t match their requirements – so they set up their own “family care home”. The organisation now has eight care homes in Wrexham and Caernarfon and a training academy which between them employ more than 800 people. 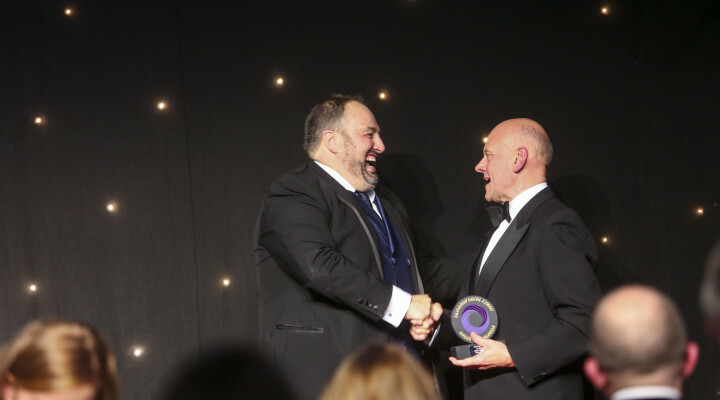 He was a founder of Care Forum Wales which is celebrating its 25th anniversary this year and the Wales Care Awards which is also marking a major milestone, its 15th anniversary. For most of that period he has been either honorary chief executive or chairman of the Care Forum Wales which represents nearly 500 independent providers. He was also instrumental in establishing the Five Nations Group which celebrated its 10th anniversary this year and includes social care representatives from Wales, England, Scotland, Northern Ireland and Eire. Mr Kreft was awarded an MBE in 2010 as part of the Queen’s Birthday Honours in recognition of his services to social care and in 2015 he was honoured at the Welsh Government’s St David Awards when he was presented with the enterprise award by First Minister Carwyn Jones at a glittering ceremony at the Senedd in Cardiff. At Pendine Park Mr Kreft and his wife, Gill, have placed the arts at the centre of daily life and were probably the first social care organisation in the UK to appoint an artist in residence nearly a quarter of a century ago. They have also established the Pendine Arts and Community Trust to support a whole host of arts, cultural and community activities. Earlier this year Mr Kreft was appointed to sit on the new Ministerial Advisory Board set up by Economy Secretary Ken Skates. It was, he said, an historic appointment because this was the first time that a representative of the social care sector had been placed “right at the heart of the economic decision making of the Welsh Government”. He particularly proud that social care has been chose by the Welsh Government as one of only four foundation sectors for their economic policies. Former Care Forum Wales chairman Shokat Babul paid a glowing tribute to Mr Kreft for helping the organisation become the leading champion for social care in Wales. Mr Babul said: “From the outset Mario Kreft has been the guiding light and the inspiration that has led the way in influencing the positive development of the care services that we are all so proud of. “This has required outstanding determination to pursue with vigour the best possible provision for people who require care from others and to make their lives rich and fulfilling. “He has the ability to look beyond current standards and lead the way in setting and meeting increasing expectations from generation to generation. “The qualities that Mario has demonstrated consistently over the past three decades and his reputation as a successful entrepreneur, with sustainable ideas about how care should be provided and delivered, has been recognised in the professional, political and economic spheres in Wales. “Mario has been skilled in recruiting a succession of skilled professional advisors to assist in shaping Care Forum Wales, along with Welsh Government policy and practices in the social care sector since 1996. “He’s also provided invaluable advice for CFW members in their businesses with informal advice and assistance to achieve regulatory compliance and excellence in the services they provide. “I know that there are so many people like me past and present who have the greatest respect and affection for Mario and for what he has achieved over the past 25 years with Care Forum Wales. His contribution has been remarkable and outstanding. “We trust that he will be given the help and ability to continue directing his talents for the good of everyone who needs social care in Wales for many years to come. 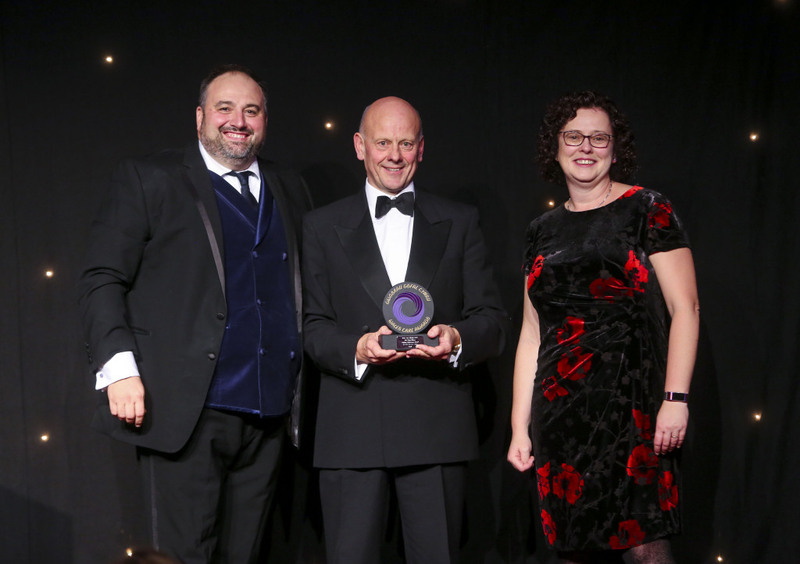 It was a sentiment echoed by Cabinet Secretary Ken Skates who added: “This is a timely and richly deserved award, recognising Mario’s huge and positive contribution to the sector. “Mario has recently become a key advisor to Welsh Government on economic development and the weight of experience he offers is second to none. Wrexham AM Lesley Griffiths, who is also the Welsh Government Secretary for Energy, Planning and Rural Affairs, said: ” I am delighted Mario has been honoured in this way. “This recognition for all his pioneering work and dedication for more than 30 years is richly deserved. “Mario leads by example and is an eloquent and effective champion for the social care sector in Wales. According to Mr Kreft, he was “deeply humbled and surprised” to receive the award. He said: “I would like to pay tribute to the contribution of Sarah Rochira has been immense. She has been fearless and determined in championing the rights of older people and this recognition is richly deserved. “In relation to my own case, I have to say that I have been the public face of a huge team effort in which many people have worked tirelessly to raise standards and to promote the profession of social care. “One of things of which I most proud is that Wales is certainly the first of the home countries where social care has been put at the heart of economic thinking and this is a great credit to the Welsh Government. “It was a major step forward when social care was recognised as one of the four foundation sectors of the Welsh economy. “We now have recognition that social care is central to strong communities and will now attract Welsh Government support as we strive to create prosperity for all by improving well-being and the wealth of our nation.